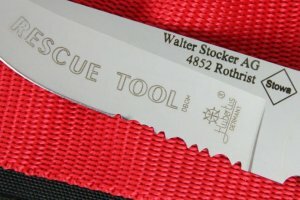 The life-saving cut is the primary task of a rescue tool. In the year 1997 we were the first manufacturer who realised this intended use with our innovative and patent-protected Rescue Tool. allowing a permanent carrying without additional weight. also with bulky and wet protective gloves. by our form of the blade patently protected in 1997. The innovative contour of the blade precludes stitch damages. 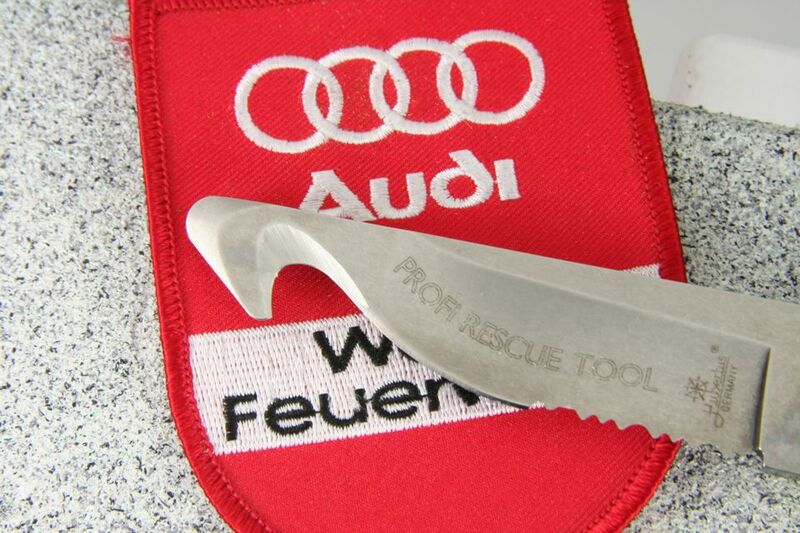 In its version as a pocket knife our Profi Rescue Tool completes with its small and compact size the protective equipment. 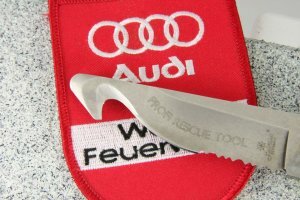 As a rescue tool with fixed blade it can be mounted in automobiles, boats and on other equipments in the versions RRK Rescue and RRK Nautic. It is also possible to carry the knive on a belt. 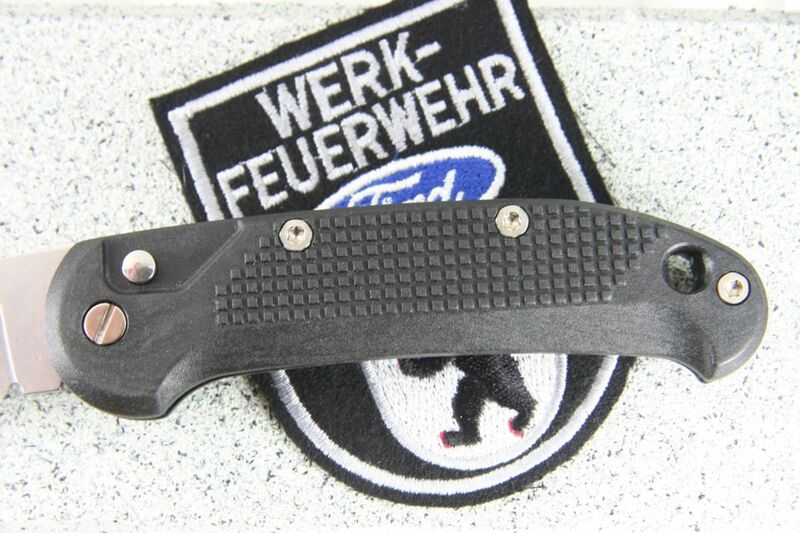 We are proud that our inventions of HUBERTUS rescue knives are recommended by many authorities as worldwide leading tools for the safety equipment. 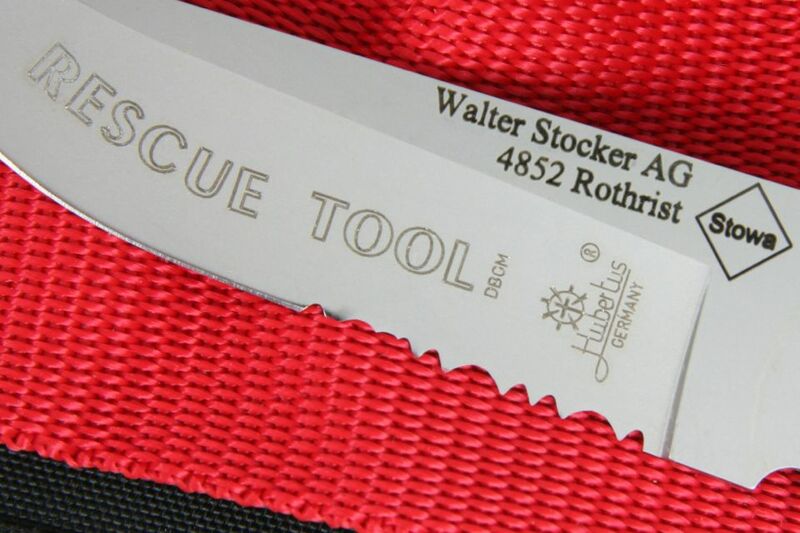 The bsic pattern is dating back to our introduction of a patented blade design in 1998. Frequent improvements and updates are featuring the present state-of-the-art. In order to mount the sheath on arms or legs we offer adjustable rubber springs in a set of a two-part set.